This is a favorite oil of mine. It has a very smoky musky aroma. 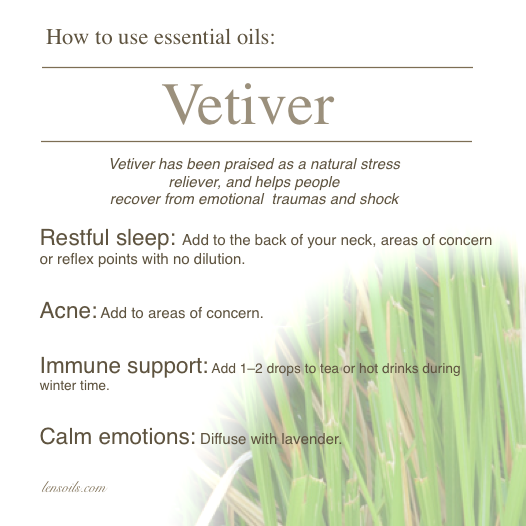 Vetiver goes a long way, just a hint of the oil on my finger lingers for quite a while. I will also rub it in my hair and it smells like a guys cologne. Did you know Myrtle is The Oil of Adaptability? Myrtle instills the soul with qualities helping you to adjust to new conditions, capable of being flexible, and recovering quickly from difficult conditions. Myrtle helps brings joy to the heart allowing things to flow naturally. It is helpful during difficult and challenging times. The Ancient Egyptians knew of the therapeutic properties of myrtle, macerating the leaves in wine to counter fever and infection. The best and most fragrant myrtle trees came from Egypt. 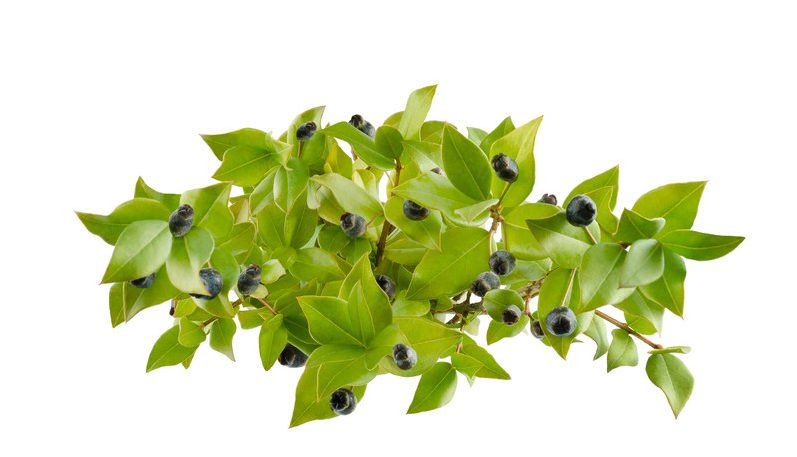 In Biblical times, Jewish women wore garlands of myrtle on their heads on their wedding day as a symbol of love, and to bring them happiness. In 1876, Dr Delioux de Savignac advocated the use of myrtle for bronchial infections, for problems of the urinary and reproductive system, and for hemorrhoids. A study shows that myrtle oil kills Salmonella on fresh fruits and vegetables. Scientists intentionally inoculated fresh tomatoes, and iceberg lettuce with a strain of Salmonella. Then they used a cleaning solution that had a dilution rate of 1 to 1000 containing myrtle leaf oil to test if it would kill the bacteria. The results suggest that the use of myrtle can be an effective alternative to the use of chlorine or other disinfectants on fruits and vegetables. Myrtle lowers blood sugar and has been traditionally used in Iran for the treatment of Malaria. It is also known for its ability to repel mosquitoes, and kills fungus, and mold. In some cultures myrtle is used to heal mouth ulcers, warts, and acne. Did you know Geranium is the oil of love, and trust? 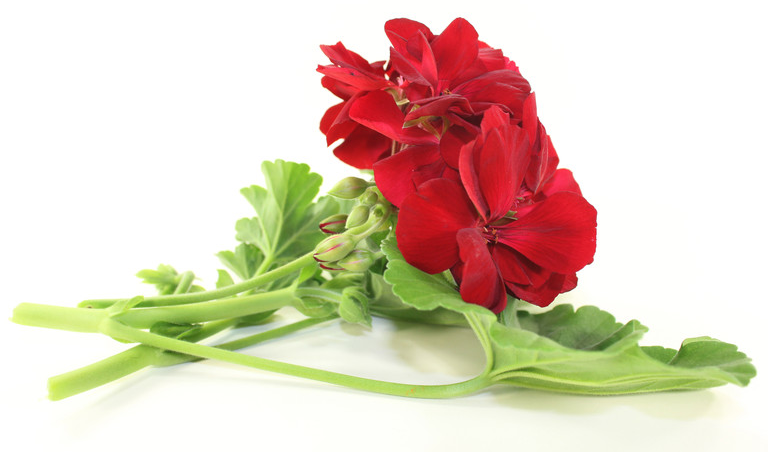 Geranium brings back the confidence, and the genuine goodness of others, and in the world. It helps bring about trust easier when a person has lost trust in others due to challenging life altering events. Geranium gives support with emotional honesty, love, and forgiveness when there has been a loss of trust with relationships. Geraniums were discovered in South Africa, the first geranium plants quickly gained acceptance in England in the 17th century. But it wasn’t until Thomas Jefferson shipped the plant from France to America in 1786 that the plant gained popularity in American gardens. Geranium essential oil is well-known for its deep positive effects on various skin disorders like acne, rashes, eczema, dermatitis, fungal infections, etc. The best thing about the Geranium essential oil is that it is a cicatrisant which means this oil has the ability to address wound issues. So, it can help scars fade away gradually and make our skin flawless. The Geranium essential oil is a natural cleanser. It can be used directly onto the skin for cleaning or added to the water for bathing. You can have healthy radiant skin both ways. The astringent properties of geranium are also very beneficial for our skin. Our muscle contractions get significantly boosted with these. Consequently, we get a firm and toned look.